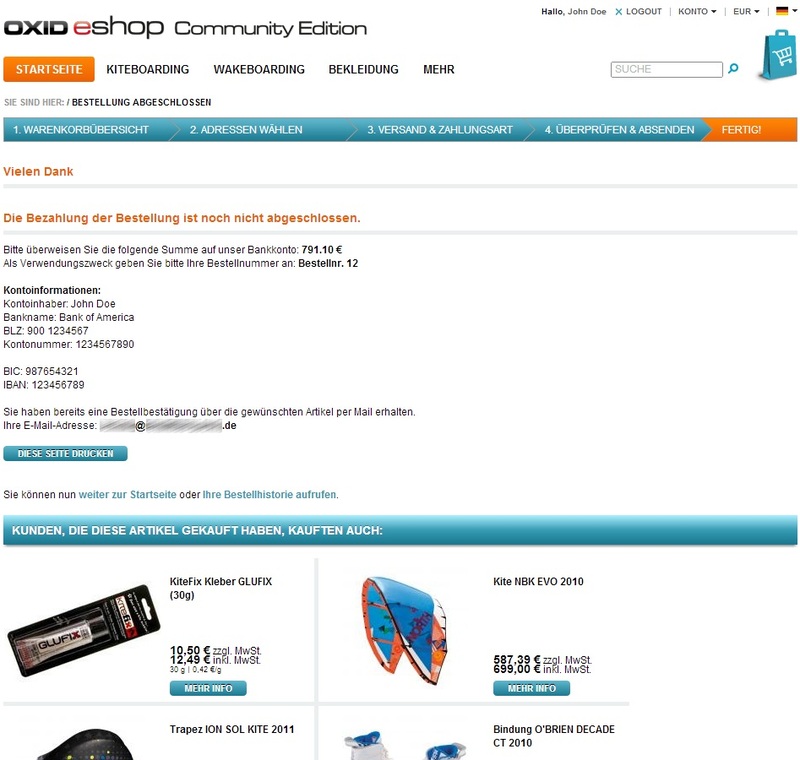 OXID eXchange | ThankYou 3.0.0 | Stable | CE | 4.6.x - 6.0.x - zahlung | Module, Themes, Language Packs direkt herunterladen! This module allows you to offer your customers the opportunity to do the bank transfer immediately after the order. Transfers can be done online directly after the appointment. The risk of default is reduced. A print function provides customers with the ability to print out ThankYou page with one click. This article is a module. By installing any existing files are overwritten or deleted.This module is after uploading and activating the admin area already instaled it!